4 bed 4 bath villa near beaches and bars!! 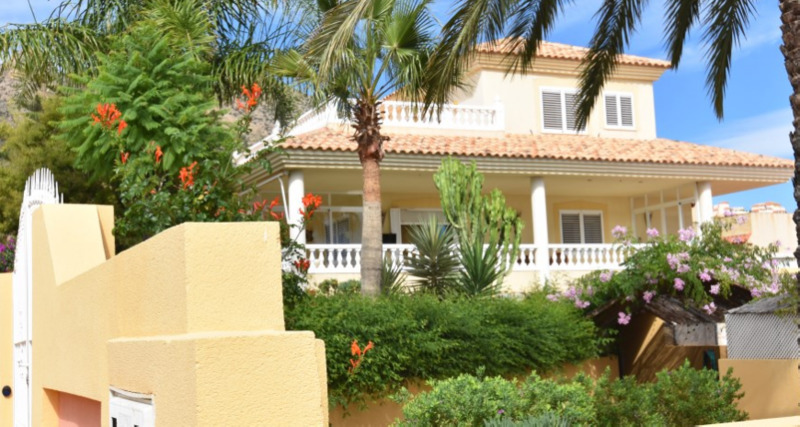 Beautiful villa in the typical fishing village of Bolnuevo!! Three levels: 1.underbuild, and large underground lock up garage165m2: reached by a shaded driveway. Full bathroom available within. main house:50m2 of porches surrounding house, overlooking the pool and gardens. Main living room of about 50m2. very spacious open plan kitchen/breakfast room with exit to terraces/porches. 2 large bedrooms and 2 full bathrooms. beautifully designed and decorated. Upstairs: master bedroom with ensuite bathroom. Exit to terrace with sea views. another living room, or 4th bedroom at the top of the stairs with own exit to solarium. Must be seen to be apreciated!! security cameras, alarm system, gas central heating, watering system. PERFECT PROPERTY, GREAT SITUATION! !CALL US NOW FOR YOUR VISIT! !